Simona began playing tennis when she was 4 years old, being trained by her older brother, and at the age of 6 she was already practicing every day. She moved to Bucharest when she was 16 years old to continue her tennis career with Justine Henin and Andrei Pavel as role models. 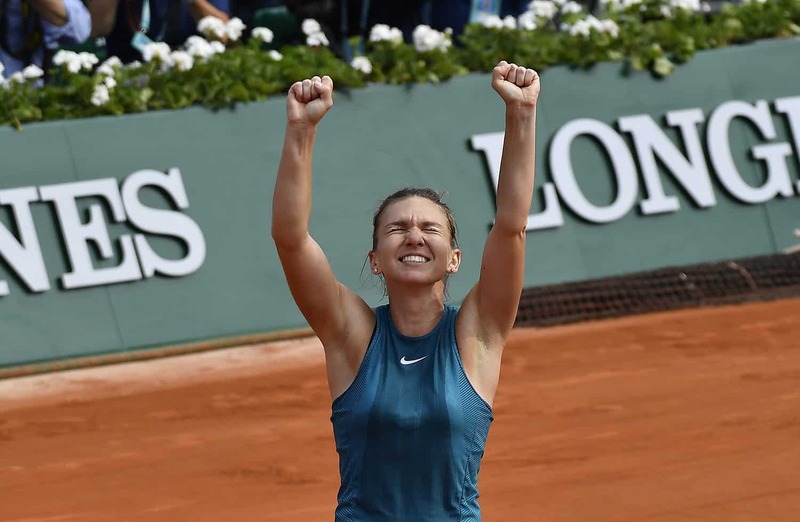 Simona began playing tennis when she was 4 years old, being trained by her older brother and at the age of six she was already practicing every day. She moved to Bucharest when she was 16 years old to continue her tennis career with Justine Henin and Andrei Pavel as role models. The first significant victory came in 2008 with a junior semi-final at the Australian Open and in May 2008, she won two junior tournaments: ITF 10,000 in Bucharest and the Trofeo Bonfiglio tournament. Four months before turning 18, Simona climbed to the highest level in the Junior world rankings with the Roland Garros junior title. 2009 marked the beginning of a period of success for Simona as she defeated a player ranked in the Top 100 for the first time. At the ITF tournament in Saint Raphael, Simona would beat none other than German Angelique Kerber, who was ranked No.95 in the WTA rankings at the time. 2010 brought her first standout performance at a WTA tournament, in Marbella, Spain. Simona battled through to the quarterfinals, passing among others Iveta Benešová (World No.70) and compatriot Sorana Cîrstea (then World No.36). She went on to play her first WTA singles final in Fès, Morocco. Rights after reaching the semi-finals of the ITF tournament in Biarritz in July 2010, Simona cracked the Top 100 in the WTA rankings for the first time. The name Simona Halep first appeared on the list of the 50 best female players in the world at the end of 2012, and one year later, in August 2013, Simona entered the Top 20 for the first time. In November of the same year, Simona also won the “Champions Tournament” in Sofia. It was the sixth tournament for Simona, where she was named “WTA’s Most Improved Player”, becoming the first Romanian player since Virginia Ruzici in 1978 to receive this distinction. Simona joined the prestigious Top 10 for the first time in January 2014, after advancing to her first quarterfinal at the Australian Open Grand Slam tournament. During her career, Simona has earned another 18 WTA tournaments (six in 2013, two in 2014, three in 2015, three in 2016, one in 2017, three in 2018), the most important being the Premier Mandatory tournaments at Indian Wells and Madrid.